Is the talk show host okay? 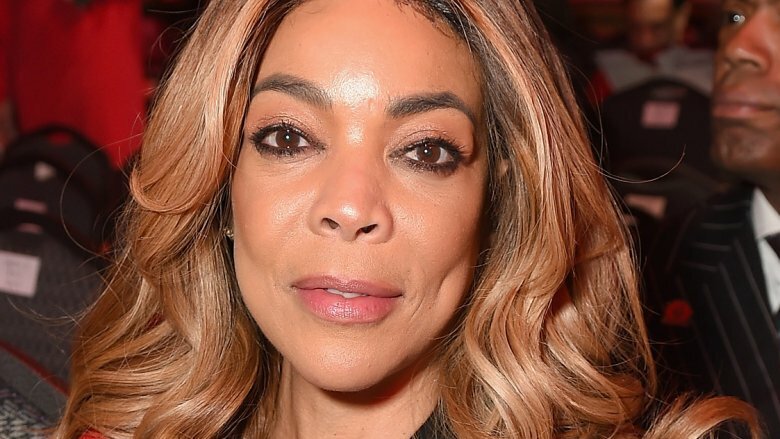 On Wednesday, Feb. 21, 2018, Wendy Williams made an announcement on her show, The Wendy Williams Show, regarding her health. According to People magazine, Williams revealed that she'd been diagnosed with Graves' disease, an immune system disorder which often leads to hyperthyroidism — a condition Williams had reportedly already been diagnosed with. "Graves' disease squeezes the muscles behind the eyeballs," Williams explained to viewers, noting that it'd been causing her eyes to twitch. Us Weekly reported that, due to her hyperthyroidism and Graves' disease, Williams had been having trouble sleeping and had been feeling irritable. So, when she saw her doctor on Tuesday, Feb. 20, she was ordered to take time off from her show — three weeks, to be exact. "My doctor has prescribed — are you ready? — three weeks of vacation," Williams, 53, told audience members and viewers. "I was pissed. Encore performances, really?" As Nicki Swift previously reported, Williams recently canceled three days of shows after she fell ill with "flu-like symptoms." In a video posted on Instagram on Feb. 14, Williams shared that she'd been feeling "awful" and that she'd been convinced to take time off to care for her health. Months earlier, Williams scared viewers everywhere when she fainted on air during her show's Halloween episode. She later explained that she'd passed out because she was overheated in her costume. While Williams' doctor may want her to take three weeks off from work, the host admitted that she may be back sooner. "I'll be back in two. I'm not an heiress — who is going to pay my bills? Are you serious?" she said jokingly. "I'm just saying, I come from working class." However, Williams, who'd previously put off a doctor's appointment, does sound like she's taking her doctor's orders seriously, as she encouraged her female viewers to start looking after themselves. "What I want to say to women, more than men, is stop putting everyone first because if we're not good, they're not good," she said. We hope that Williams rests up during the next few weeks and comes back to TV feeling better than ever.